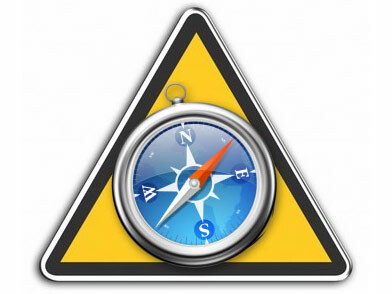 The Safari update that was released by Apple this Friday, the 14th of November, instead of being a security blessing turned out to be a crash curse. Version 3.2 of Apple’s browser should have addressed a grad total of 11 security issues that affected the browser itself and WebKit. Instead of making Safari safer, it caused it to crash over and over again. Apple Discussions is featuring a topic entitled “Safari 3.2 is Unusable – Spontaneous Quits” and the list of people that are complaining on the forum is quite long. I would like to apologize for instructing FindMySoft visitors to upgrade their Safari browser. At the time it seemed like a god idea, considering the fact that the security update was meant to fix a rather large number of vulnerabilities, not to mention that v. 3.2 brought a new phishing protection feature to the table. There was no way to predict that updating will cause the software product to crash – as many as 20 times over a 5 minute time span, as reported by Paul Olszewski on the Apple Discussions web page. Some of the users on the forum state that if the phising protection feature is turned off, then the browser will work just fine. But if the “warn when visiting fraudulent websites” option is turned on, the browser will crash no matter what web page you visit. So if you disable it, you will be able to use Safari 3.2 but you will not be protected from phishing time attacks; but when the feature is turned on, the browser will frequently and unexpectedly crash. The nuisance of it all has determined some Safari users to formally express their willingness to switch to other browsers, such as Firefox. Coincidently, the recent Firefox 3.0.4 update also makes the software perform in a safer manner.